Chief Minister Sarbananda Sonowal said the Prime Minister's special focus for the development of the Northeast and his multiple initiatives for the region will be the basis for the success of the summit. 'India's Expressway to ASEAN' has been chosen as the tagline of the summit, an official said. Guwahati: Prime Minister Narendra Modi will inaugurate Assam's first global investors summit today that aims to showcase its manufacturing opportunities and geostrategic advantages to foreign and domestic investors. The 'Advantage Assam: Global Investors Summit 2018' also aims to highlight Assam's geostrategic advantages and core competencies in different sectors along with the policy initiatives taken by the state government. "So far, 4,500 delegates have registered for participation that include representatives from 16 countries. Prime Minister of Bhutan Tshering Tobgay has already arrived while industrialists like Mukesh Ambani and Ratan Tata are expected to attend the summit," Assam Chief Minister Sarbananda Sonowal told PTI. The chief minister said the February 3-4 event will showcase the manufacturing prowess and the opportunities offered by Assam in terms of export-oriented manufacturing and services to growing economies such as the ASEAN and the Southeast Asian countries. Mr Sonowal said the Prime Minister's special focus for the development of the Northeast and his multiple initiatives for the region will be the basis for the success of the summit. Apart from the prime minister, several Union ministers including Nitin Gadkari, Suresh Prabhu, Ravi Shankar Prasad, Smriti Irani, Dharmendra Pradhan, Jitendra Singh, Kiren Rijiju, are expected to take part in the summit. Other focus areas include information technology and information technology enabled services, pharmaceuticals and medical devices, plastics and petrochemicals, power, tourism, hospitality and wellness, petroleum and natural gas and civil aviation. Bangladesh Industry Minister Amir Hossain Amu, Cambodian Tourism Minister Thong Khon, Myanmar Commerce Minister Than Myint, Lao PDR's Vice Minister of Information Culture and Tourism Ounethoang Khaophanh are also likely to attend the event. Ambassadors, High Commissioners and business delegations from 16 countries such as the USA, Vietnam, the UAE, the Netherlands, Nepal, Korea, Japan, Israel, Indonesia, Germany, Czech Republic and Canada are expected to attend the two-day event. Dilip Shanghvi of the Sun Pharmaceuticals, Anand Burman of the Dabur, Subhash Chandra of the Essel Group along with a host of industrialists are also expected take part in the summit. As a precursor to the main event, roadshows were organised at various domestic and international locations to invite investors to the summit and also showcase the business potential and investment opportunities in the state. Chief Minister's media advisor Hrishikesh Goswami said roadshows held in Delhi, Kolkata, Mumbai, Toronto, San Francisco, New York, Tokyo, Seoul and Singapore have generated very positive response from the investors. "Very aptly, 'India's Expressway to ASEAN' has been chosen as the tagline of the summit," he said. "The objective of the Summit is to position Assam as India's Expressway to ASEAN. 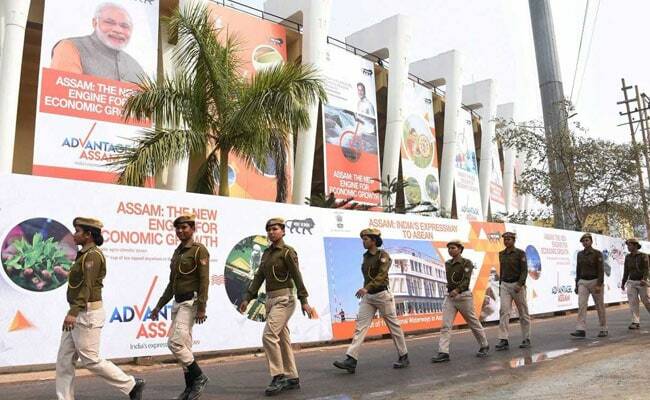 Advantage Assam will be the largest ever investment promotion and facilitation initiative by the Government of Assam," said the summit's Nodal Officer A P Tiwari. "Besides, the summit will showcase the opportunities offered by the state in terms of export-oriented manufacturing and services to ASEAN and BBN countries," Mr Tiwari said. "Assam has a unique advantage of being at a strategic geographic location with a strong connectivity network, making it an ideal destination for doing business with the ASEAN countries," Mr Tiwari said. Assam is no longer at the periphery but at the centre of the vast and vibrant economy of the Southeast Asian market, he said. "Assam Government also understands the criticality of providing ease of doing businesses in order to gain attention from national and international investors," Mr Tiwari said.